For most of us foreigners in Korea, August 15 is one of those National Holidays that we look forward to because we don’t have to wake up early in the morning and go to work (at least true for some). However, for Koreans, this day is a very special day because August 15 is a commemoration of the National Liberation day of Korea. What does it mean? In Korea, they call this day Gwangbokjeol which means “the day the light returned”. This day marks the victory of Korea for claiming their independence from Japanese colonial rule. If you still don’t know what it means, you better go to the INDEPENDENCE HALL OF KOREA which is located in Cheonan, this is where you get to learn how this country suffered from the invasion of Japanese. During the Japanese invasion, many have died and suffered under the cruelty of the oppressors. If not for those heroes who sacrificed their lives, we don’t have a free and progressive Korea today. I can’t obviously mentioned every heroes and unsung heroes, but in lieu of the celebration of the National Liberation Day of Korea, I will feature here the one I admired the most, and she, yes she’s a girl, is no other than, the patriot Yu Gwansun(유관순). You probably just scratch your head reading her name and decide to stop reading this because this is completely boring, but you will really admire her as much as I do if I tell you that she died at 18 years old fighting for the independence of this country. Yes, you read it right, 18 years old! And what can 18 years old of this generation willing to sacrifice for the country? Let me tell you her story. 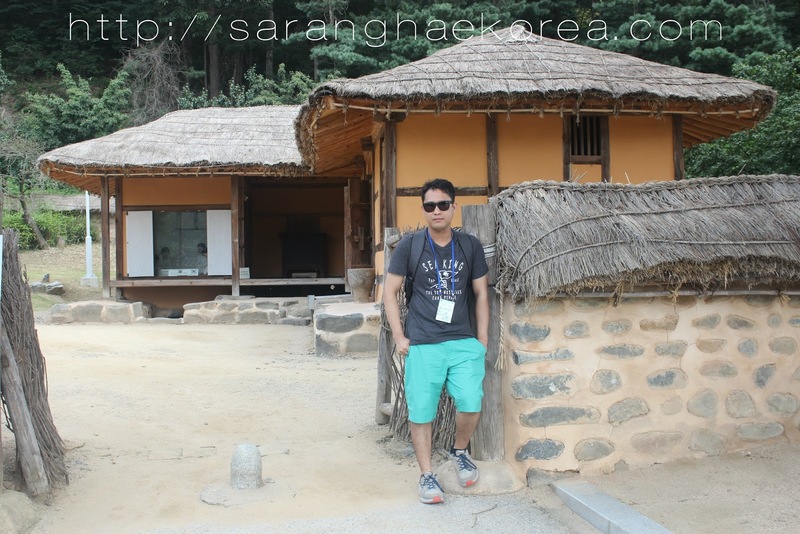 If you are familiar of March 1 Independence Movement, it’s one of the national holidays here in Korea because they commemorate the biggest movement that happened during the Japanese colonial rule, again if you are not familiar, go visit the Independence Hall of Korea in Cheonan. Patriot Yu Gwansun was one of the organizers of this event. It was actually a protest against Japanese, and an organizer like her could not do any harm except for protesting in a peaceful way. 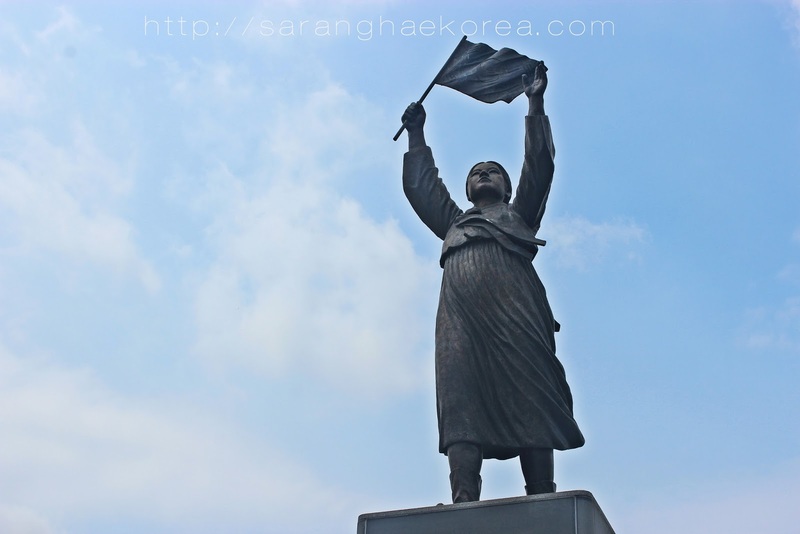 She led the movement to proclaim to the Japanese invaders that Korea wants its independence, because of that, she became the symbol of Korea’s fight for independence through a peaceful way. In this day and age, we may call her the Mokingjay of her generation. She’s a Katniss Everdeen of Korea. During this movement, she was still a student at Ehwa Women’s University in Seoul. However, because of what happened, the government temporarily closed her University and she had no other choice but to go back to her hometown in Cheonan. The house of Patriot Yu Gwansun still exists in Yondu-ri village in Cheonan, it’s a small place with a very laid back ambiance. The government preserved her house to give honor to her patriotism. I am proud to say that I was able to visit her humble abode. Imagine, this house is already more than a 100 years old. It’s pretty simple and everything that a household needs in a house is there. I don’t know if this is what rich people house looks like a long long time ago, but for me, it’s quite decent. There are some diorama of some scenes that happened during that time. 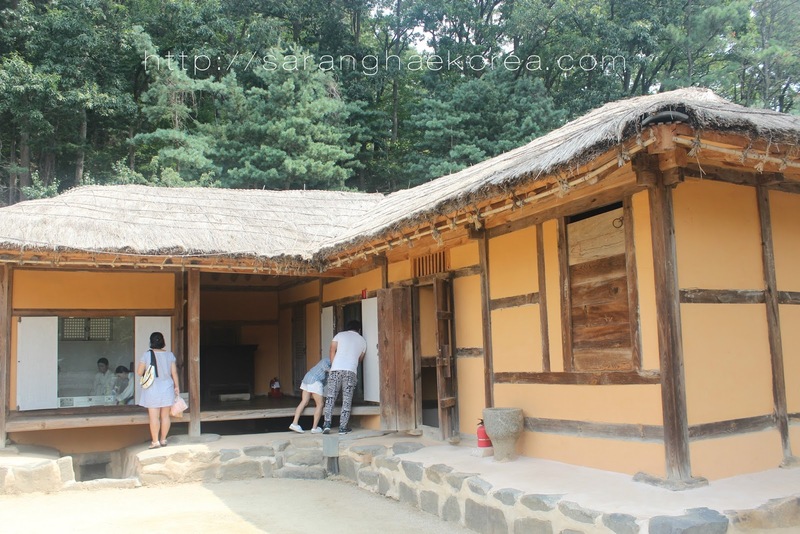 When patriot Yu Gwansun returned to this home, the fire in her heart was still burning. The desire for independence was still there, so she encouraged her parents to fight with her for claiming the victory of the country. She spread the information about what’s happening in Seoul and about how bad the effect of Japanese occupation to the country. 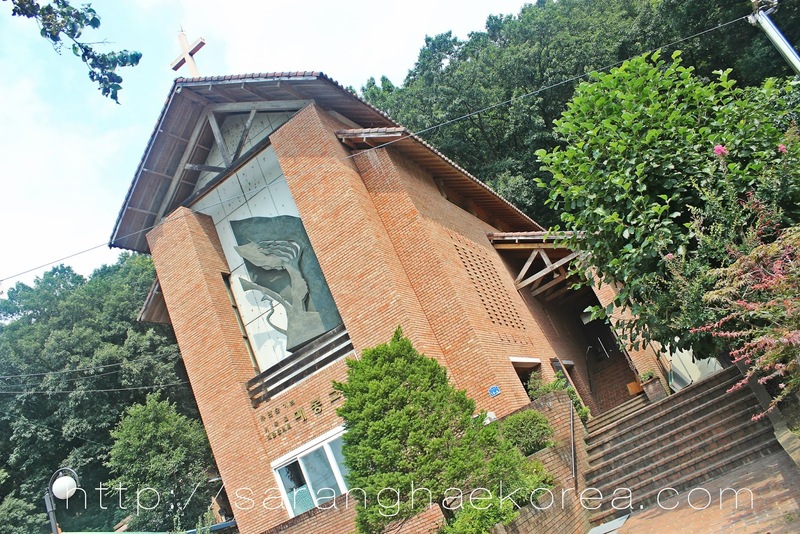 She visited the neighboring villages and churches in her hometown to arouse the public feelings against Japanese invasion. Through her effort, the people were informed and she was able to encourage the public to fight for what does rightfully belong to them. She, with the help of her parents, organized a public demonstration at Aunae Market in her hometown, but it was dispatched by the Japanese Police causing the lives of her parents and hundreds of people who participated in the demonstration. Patriot Yu Gwansun on the other hand was sentenced for 5 years imprisonment for sedition and security law violation. However, that did not kill her spirit. She continued to protest against Japanese colonial administration. Because of protesting, she was tortured while she’s in prison. In September 28, 1920, when she was 18 years old, she died because of torture. Today, Patriot Yu Gwansun has a memorial hall in Cheonan as a homage to her bravery and love for the country. 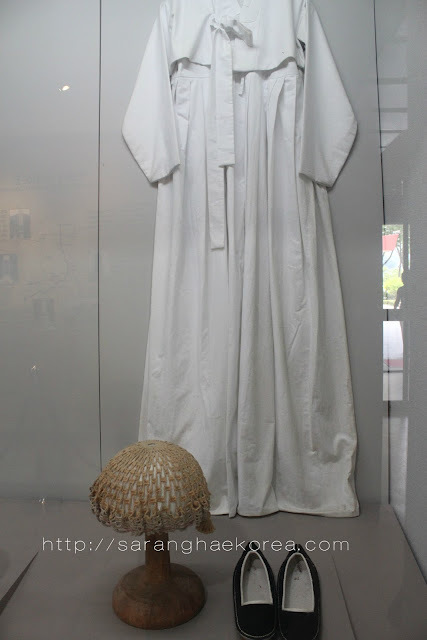 In this museum, you will see memorabilia of Yu Gwansun. 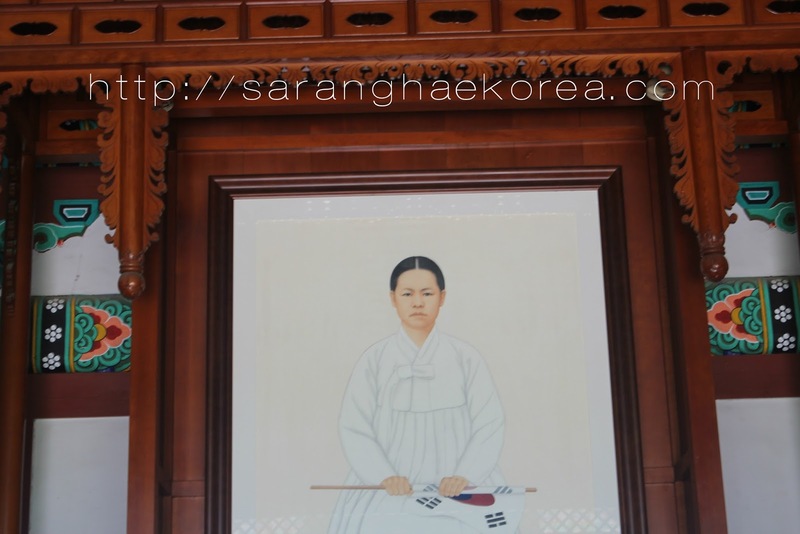 Her photos, uniform and even her story are displayed in this museum. You will also get to experience what she experienced in prison because there are scenario and actual prison cells in this hall. In my book, the life of Patriot Yu Gwansun is a very inspiring one and it should be shared to the next generation. It should remind them that without Yu Gwansun, the August 15 National Liberation Day of Korea would never exist. Wow.. Such a thorough introduction of Yu Gwansun's story you've written here. I'm so touched that you are this inspired and moved by her :) We Koreans love her and owe her eternal thanks to her. It was such a cruel tragedy that she could return home in one piece after her death.. I meant she couldn't return home in one piece. hello Jennie, Thanks for reading my blog. Yes, I learned about her when attended a city tour in Cheonan where I live right now. I was able to go to her museum and to her house and I got to know the story of her life.